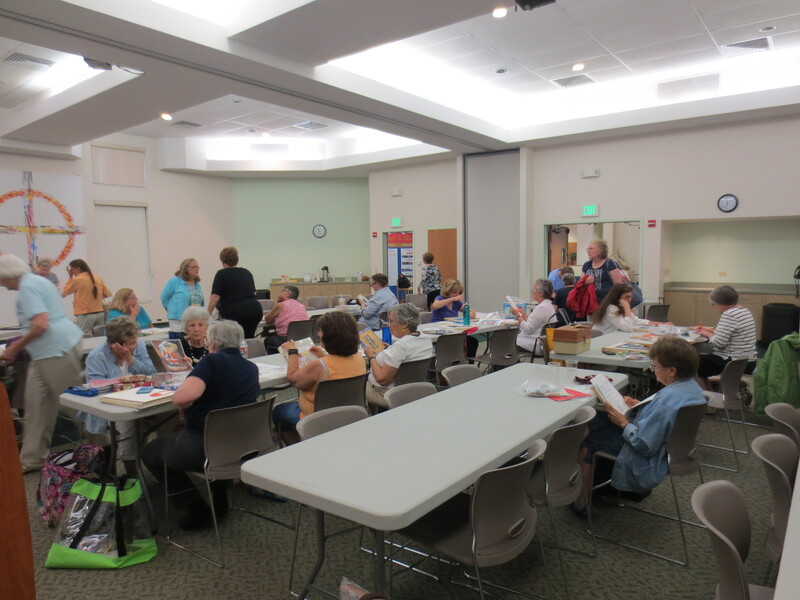 Happy Anniversary to Colorado Columbine Chapter – needlepointing for 40 years! It’s our RUBY anniversary, can you believe it? 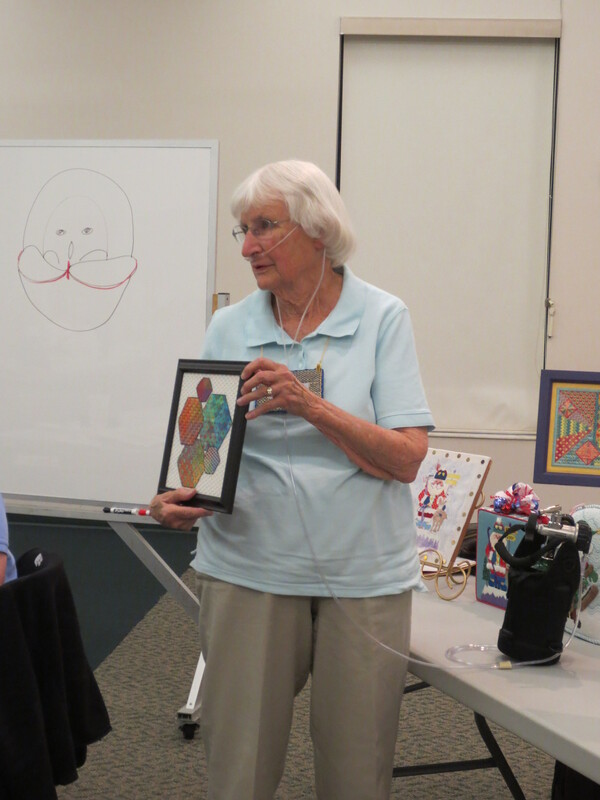 Forty years of needlepoint stitching as a group in Denver, Colorado. Now that’s something to celebrate! So, by golly, we are! On April 20, 2015, CCC-ANG hosts its annual dinner, and this year, with some delightful surprises. 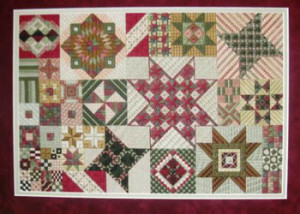 So, members past and present, please let us know via our Facebook page or e-mail us at columbineang@gmail.com if you are interested in connecting with needlepointers of today. This will be a great chance to catch up and view our beautiful scrapbook of events since 1975. 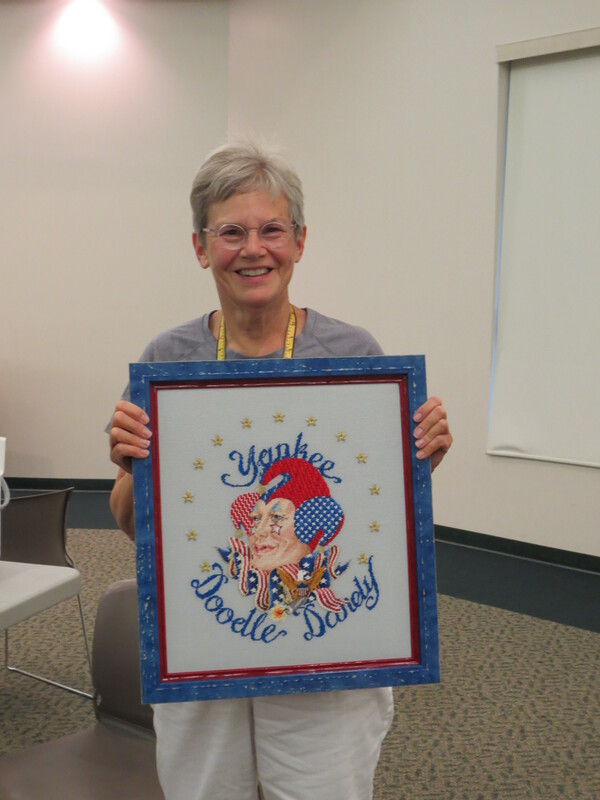 After joining our national group, the American Needlepoint Guild, it’s an easy step to joining the Colorado Columbine Chapter of ANG. 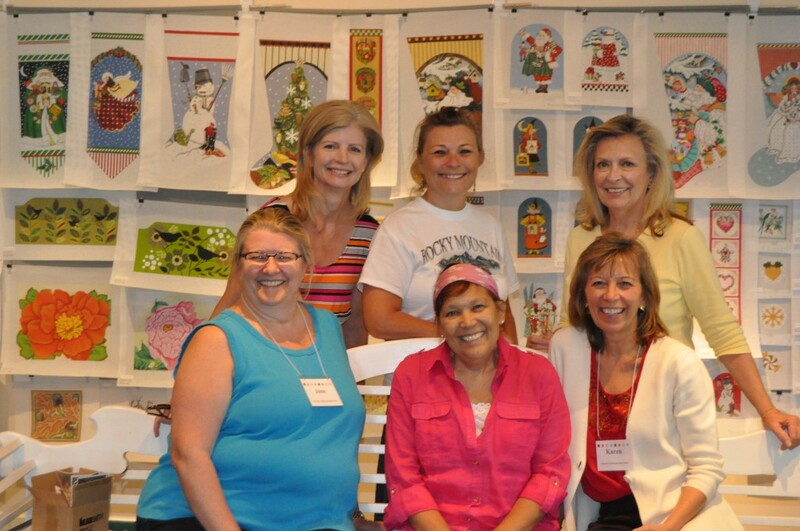 Dues are just $26 per year and cover free classes, stitch projects, pointers on any level of stitching, access to insider information about new threads, holiday parties, field trips and off-site retreats that are just plain fun! 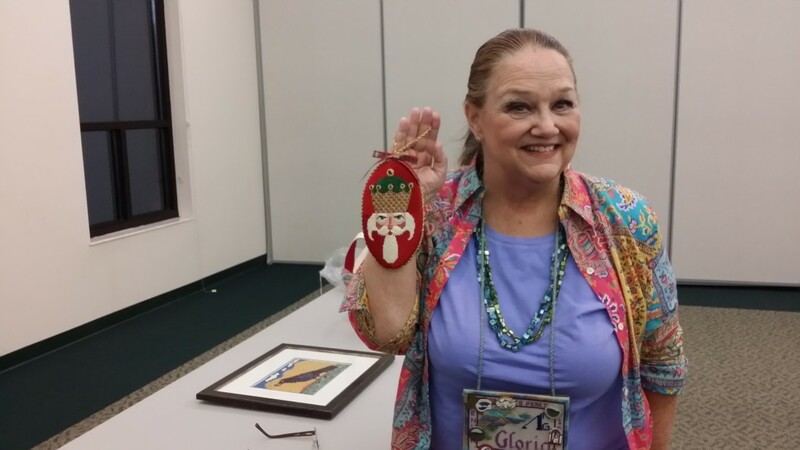 Gloria with lovely Southwest-themed ornaments she’s stitched. 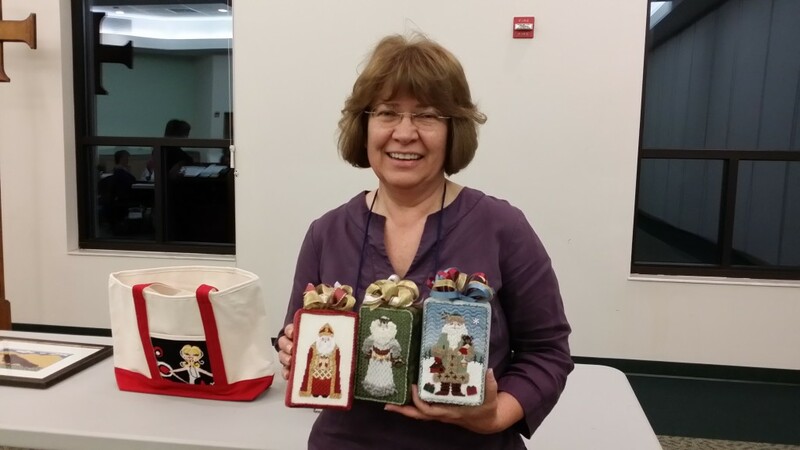 Our new president, Gloria M., at left, will be teaching an upcoming class in June/July, a design by Libby Sturdy called ‘Mile High Santa!’ April is the final chance to sign up for this, at just $50 for canvas, stitch guide and class instruction. So join us in April to get onboard this opportunity. Join us April 20 for the kickoff of our 40th ANNIVERSARY year, installation of the new officers and annual dinner! Needlepoint lovers who live in the Denver metro area will want to know all about the Colorado Columbine Chapter of the American Needlepoint Guild. 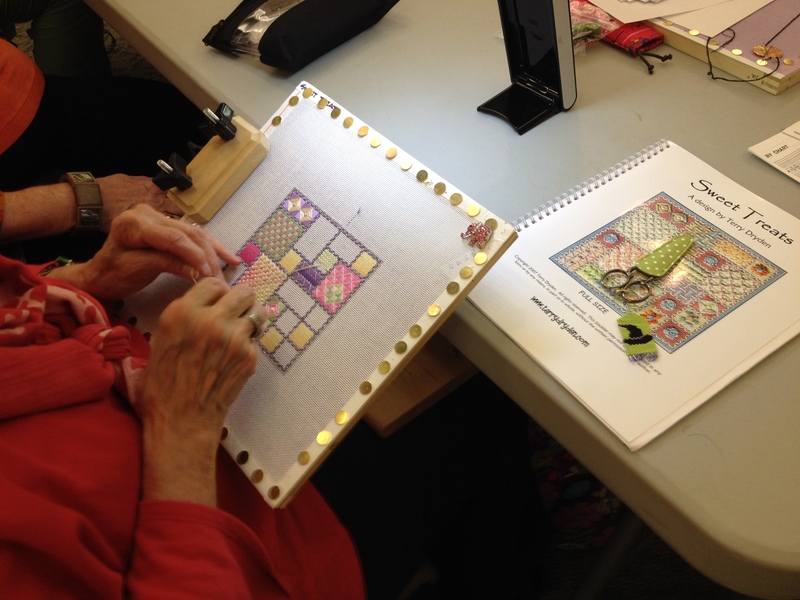 Members meet monthly for a social evening of stitching, laughing, planning and enjoying the fabulous displays of finished needlework brought to each meeting. 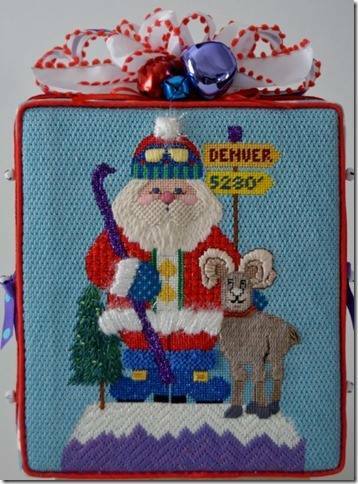 Feel free to join the Colorado Columbine Chapter of the American Needlepoint Guild! Scroll down to see the upcoming projects we are hosting. Meets Third Monday of each month except Aug & Dec., at 6:50 p.m. 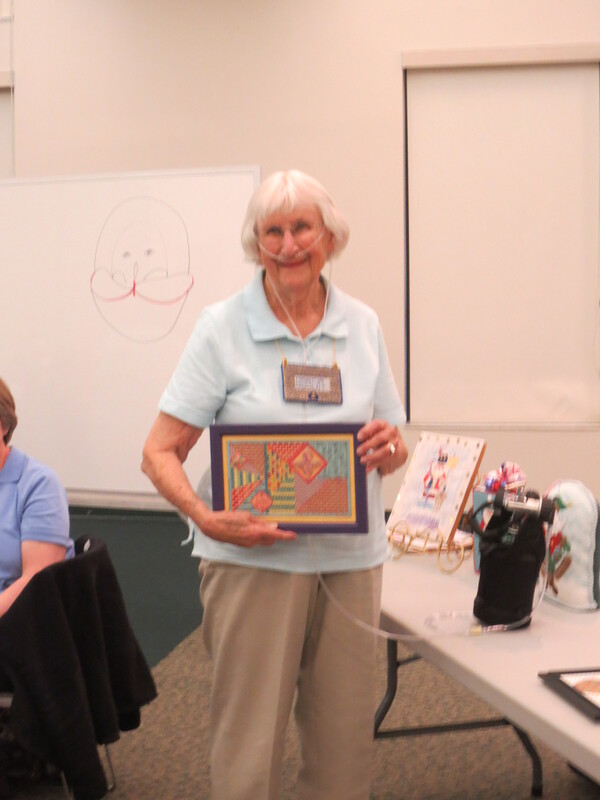 The Colorado Columbine Chapter of the American Needlepoint Guild continues its role as a meeting place for enthusiasts of needlepoint stitching on canvas! The president, Lea K., announced at the latest evening meeting that the board had decided, based on feedback from the membership, to table its discussion of a merger with another local needlepoint chapter, Mile High. The merger had been under consideration since September. 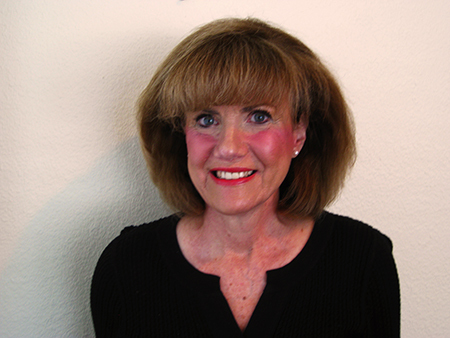 The members of Columbine chapter indicated their appreciation of the idea and are grateful to the Mile High chapter for its consideration and discussion on the topic. Columbine now moves forward with its new nominating committee in place, some new and returning members, fresh volunteers and its full dues collectable. Please pay membership chair Tina H. your $26 annual dues asap! 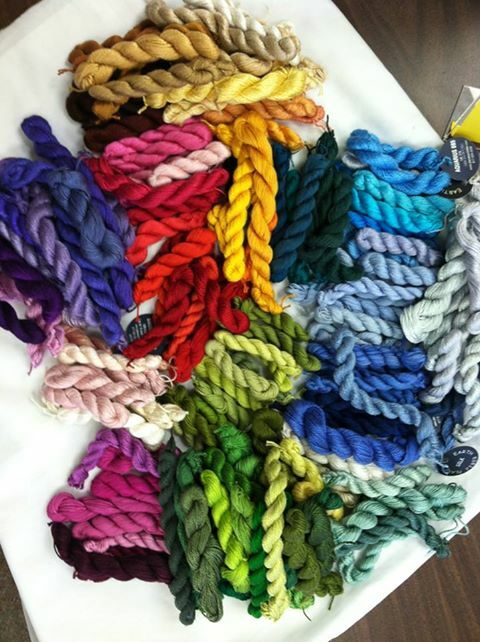 This is what keeps the group able to plan its year of stitching (and more) activities! Jennifer R. taught a brief program on how to adapt stitches — to resize and rework known stitches or those found in a favorite stitch reference book. She also discussed how to put some new spark in compound stitches! 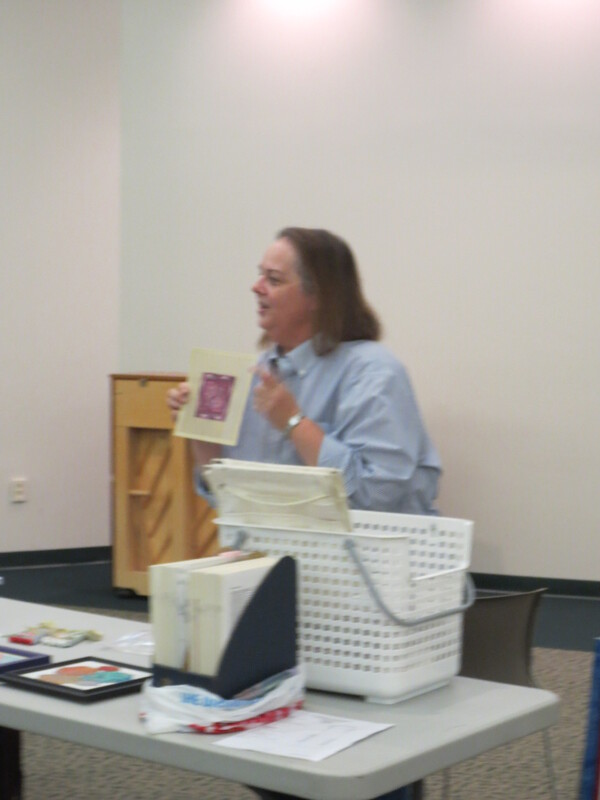 Jennifer used examples of Alicia’s lace pattern put over a laid filling and showed how changing the value of the thread used could make a stitch appear completely different from the same stitch done before. More news! Our Facebook page (see link at upper right) now has more than 100 LIKES! Woo-hoo — check out our new friends! Don’t forget the two wonderful Consortium pilot classes being taught at the Inn at Palmer Divide in March, 2015! The registration opens up to other groups on Nov. 1, so get your stitching selves signed up soonest! Scroll down to previous post for details. 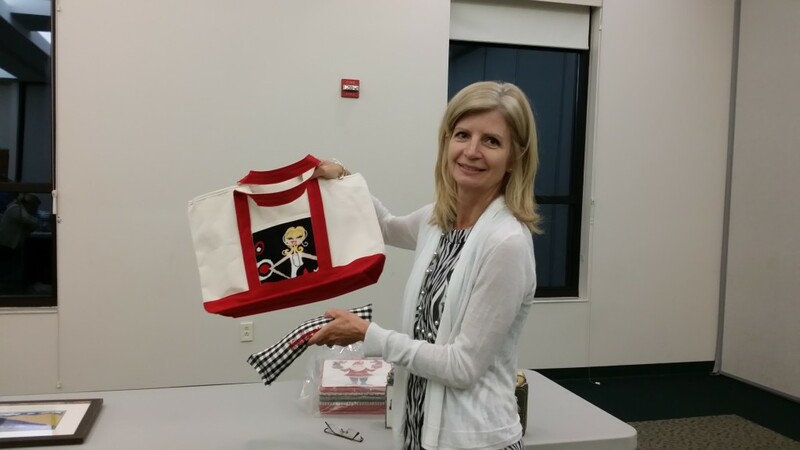 November’s meeting is our holiday dinner, so put on a party frock and plan to party like a stitcher! 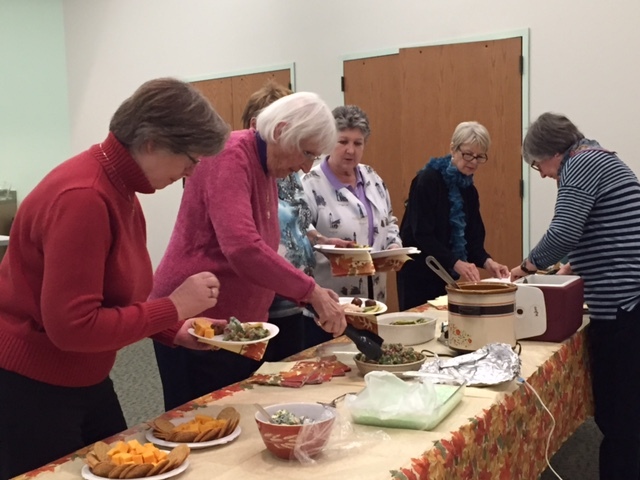 Or just bring a dish to share, come dressed comfortably and have a great time with friends! 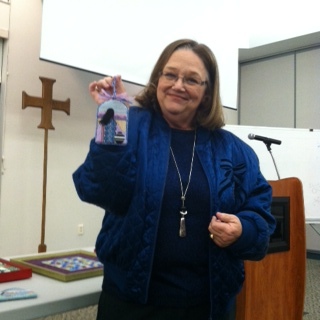 We will be having our monthly meeting on Monday, January 21st at 6:30 pm. Please brave the cold and come join us for a great meeting! 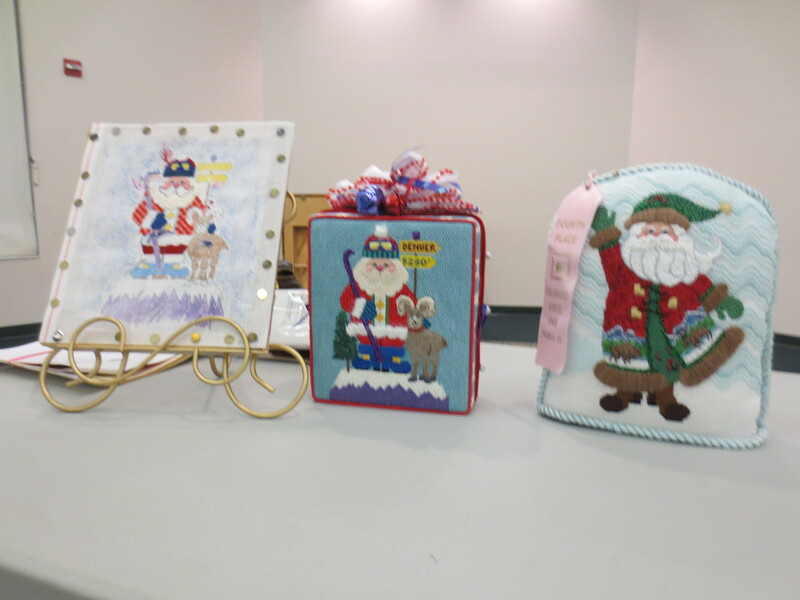 Barb has organized a wonderful program this month – the Galaxy Needlepoint project by Needle Delights Originals! We will be starting this year long project on Monday night. 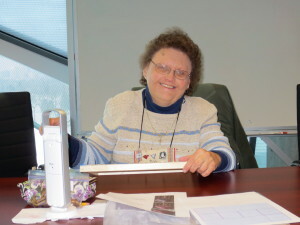 Each month, we will work on a specific section of the project together until we finish the entire project. I can’t wait to see all of the different color ways that people choose!